The estuary of the river, which gives its name to this region, forms a first class nature reserve, with a richness of flora and fauna beyond compare. 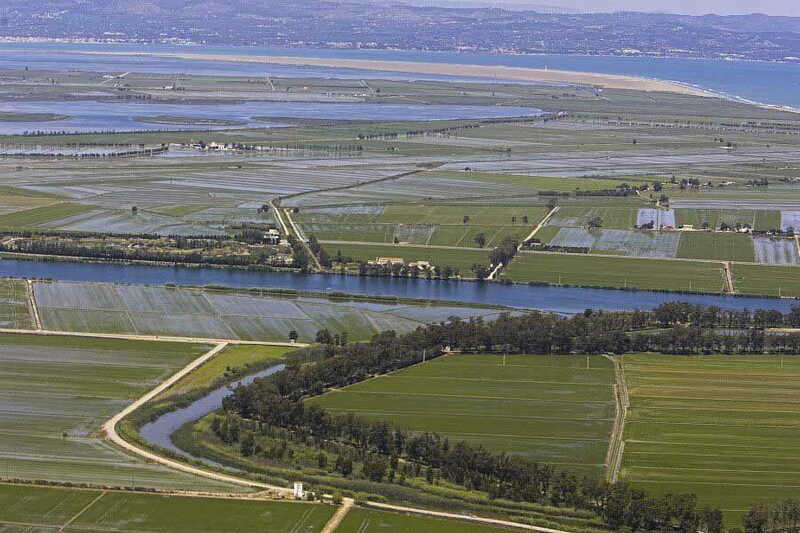 It has a total surface area of 7,736 hectares in the Baix Ebre and Montsià regions. Here, you will find many lagoons: La Bassa de les Olles, El Canal Vell, El Garxal, L'Alfacada, la Platjola, la Tancada and L'Encanyissada; as well as Buda, Sapinya and Sant Antoni islands; La punta de la Banya and El Fangar peninsulas, the Casablanca moorlands and Els Ullals de Baltasar (blow holes). Climatic conditions and the natural beauty of the land, give visitors some wonderful scenery to admire, where the water from the river and the sea plays a leading part.